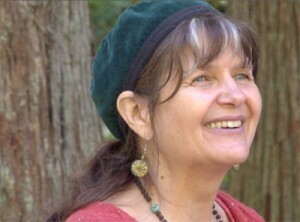 Cascade Anderson Geller was an herbalist, teacher and passionate environmental activist. She was one of the first generations of herbalists to rejuvenate herbalism in the 70’s during a time when it had been almost entirely pushed to the recesses in the US. She passed on too soon, leaving us on May 4th, 2013. Although Cascade had been teaching in the Pacific Northwest for many decades, it was only a couple years ago that I was able to meet her and study with her at various conferences in the region. I was immediately taken with her. Her sweet voice shared all sorts of wisdom, from plant uses to clinical pearls, to connection with place, to encouraging a strong sense of activism to protect our beautiful places from poisons and destruction. 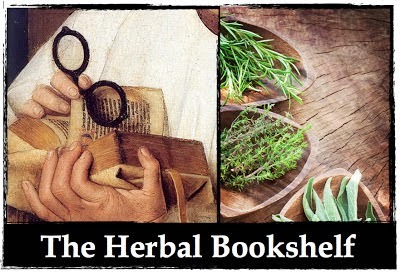 At one herb walk she said (and I summarize), As I move into my elder years, I am less interested in sharing what plants do, and more interested in sharing the deeper wisdom of what I have learned over the years. This sharing of wisdom is what made her classes so fascinating to me. I took every class I could from her even if I felt I knew the topic well. Cascade would undoubtedly share pearls of wisdom that would change the way I saw the world. Cascade was also a storyteller. Last fall I shared housing with her at the Traditions in Western Herbalism Conference and we all spent many hours sitting on the living room couches listening to Cascade tell stories from her life. Some were funny, many sad but all of them had a point for Cascade: There are the way things are and the way things ought to be! Her messages carried a sense of duty, as it was clearly our responsibility to make up the difference in between. I did not always agree with Cascade, but I think the most inspiring activists are like that. She wasn’t afraid to step on toes and shared her opinions passionately. Her concern was for the plants and the places they lived in, not with who she might offend in the process. I especially loved Cascade’s ability to read the land, something that comes only with decades of connection to place. How old are these trees? she would ask. Do you see where the plants have been sprayed with herbicides? Who sprayed poisons on our plants? Why? What are you going to do to stop that from happening again? Cascade has left us suddenly and far sooner than we had ever imagined. I know she had many projects in the fire, from in-depth research to organizing against spray programs in her area and, as always, sharing her wisdom with those of us who feel called to learn. I am shocked and saddened at her lost. As untimely as death always is, this is a strong reminder to make the most of our lives. And while Cascade has passed on sooner than we might have expected, she did live her life boldly. She touched thousands of human lives who then have undoubtedly reached out to touch thousands more. My heart goes out to those close to Cascade and to all those touched by her passing. May we continue to share her wisdom and fiery passion. I’ll leave you with some gems from Cascade taken from my own notes from several of her classes. Nature knows ahead what sickness there will be. What is abnormally abundant is what is coming. We need to wildcraft in order to keep things coming back. Plants are babies and babies come first. Waste is our own small evil. If you don’t take from the wild you aren’t appreciating it. Taking life [harvesting plants] is a sacred act; what you say and what you do is extremely important. We are the voices of the plants. You can’t wildcraft until your well is filled. Our job is to enliven and thrive. Here is a listing of videos and other tributes to Cascade. I'll update this as more are available. You can listen to a podcast from 2011 with Cascade here. A wonderful story from Cascade from the Rootstalk Festival about trekking through the Himalayas, discovering herbal allies along the way and the kindness of strangers.